If the guests would like to cancel their booking, they must to inform us seven days ahead to cancel their bookings with no penalty. 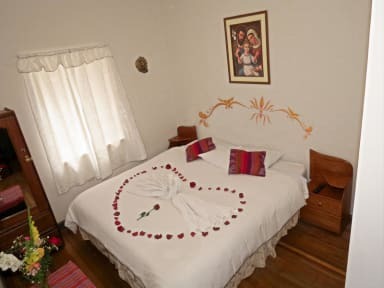 Casa La Samblena Inn is a cozy and functional guesthouse that will offer you the very best of Cusco and Peru. We capitalize our knowledge of the city and our experience in the sector to offer to the guests and travellers an excellent service that will make their stay pleasant and fantastic. We are located in one of the best spots of the city, near to some of the most fantastic tourist attractions and landmarks of the city. In this sense, from our facilities, the guests can reach easily on foot some of the finest such as Qorikancha, Plaza De Armas and Museo Machu Pichu amongst other attractions and interesting spots that are reachable easily from our position walking. We have several private accommodation options to different types of guests and travellers. 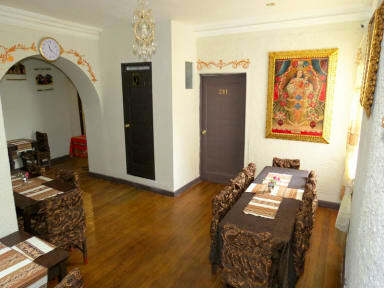 In this sense we have private rooms ideal for couples, twin rooms ideal for two friends travelling together and rooms for three and four people which are ideal for groups of friends or families. In addition, we have cable TV, Wifi across the property, smoking area, heating machine and other amenities such as coffe and tea. Furthermore, we also have tourist information available. The debit and credit cards must be only Visa. The rest are not accepted.